You are currently viewing the 2014 trials. Bill Elliot judged 15 nursery and 1 new handler. Jim Easton judged 17 nursery and 1 new handler dogs working well behaved Suffolk sheep. Emma Gray judged 18 nursery and 2 new handlers working well behaved texel sheep over a demanding course. Gordon Thompson judged 4 new handler and 18 nursery dogs. Best novice was Dale Armstrong. Jim Fyall judged 15 nursery and 3 new handlers. Ron Macrae from Netherwitton judged 2 new handlers and 17 nursery dogs. Gordon Watt judged 17 nursery and 1 new handler. ^ Nursery and New Handler,start at 10AM prompt. Kath Lyons judged 16 nursery and 1 new handler dogs. Gordon Rogerson judged 2 new handlers and 14 nursery dogs. ^ Colin Balmbro judged 35 dogs. ^ Jim Fyall judged 34 dogs. ^ Keith Brooks judged 40 dogs. ^ Kath Lyon from Allendale judged 42 dogs. ^ Percy Telfer from Stamfordham judged 38 dogs. 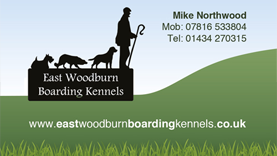 Mark Day from Alwinton judged 36 dogs working well behaved Texel sheep over a demanding double outrun course. Pat Noble (Lancaster) judged 55 dogs working excellent Texel x sheep over a national course. ^ Scott Smith from Seahouses judged 35 dogs working unpredictable Cheviot sheep over a compact but difficult course. Tony Iley judged 48 dogs working well behaved Mule sheep. Mark Elliot from Lazonby judged 55 dogs working good mule and suffolk sheep over a large course. ^ Stewart Wallace from Whittingham judged 55 dogs working well behaved Swaledale sheep . Ian Brownlie from Saline judged 55 dogs working well behaved mule sheep over a large parkland course. Peter Wilson from Rothbury judged 53 dogs working swaledale sheep over a demanding course. John Robinson from Coldingham judged 41 dogs working cheviot sheep over a demanding steep hill course. ^ Tony Iley judged 45 dogs working good Lleyn sheep. Ken Shield judged 40 dogs working mixed blackface and cheviot sheep. Keith Preston judged two teams of 11 plus a new handler from each area,working well behaved Texel x sheep over a large hillside course. Best New Handler was Sophie Hemmings with Corrie. Chris Smart judged 17 nursery and 2 new handlers working suffolk hogs. Arthur Frame from Crieff judged 17 nursery and 4 new handlers. John Robinson from Coldingham judged 16 nursery and 3 new handlers.